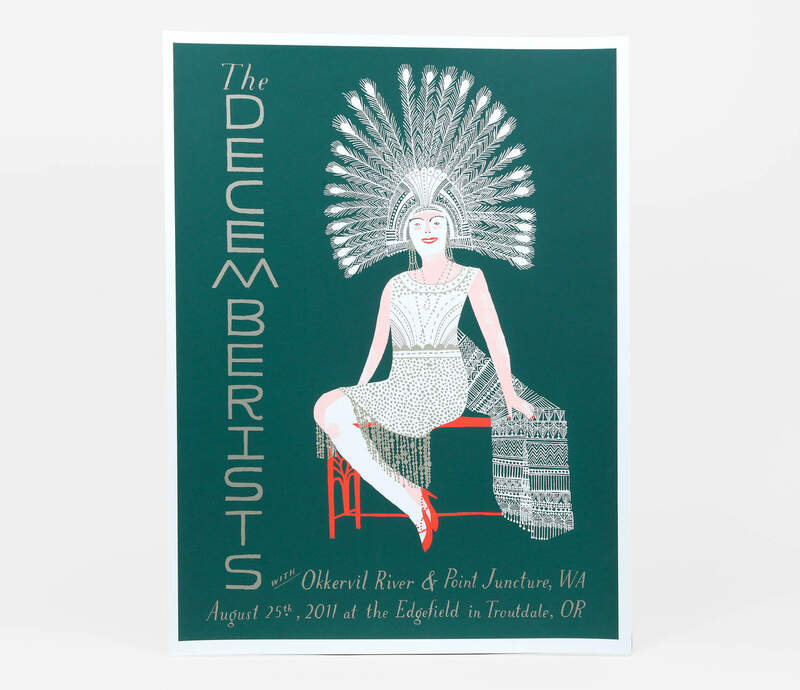 Show poster for The Decemberists with Okkervil River and Point Juncture, WA at Edgefield in Troutdale, OR (August 25, 2011) designed by Carson Ellis. 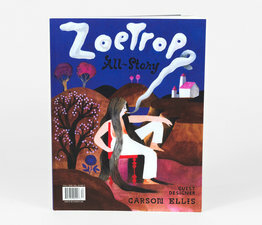 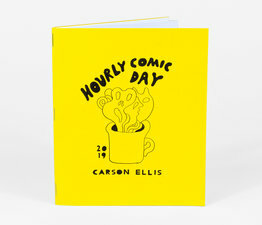 Carson Ellis is the author and illustrator of the bestselling picture books Home and Du Iz Tak? 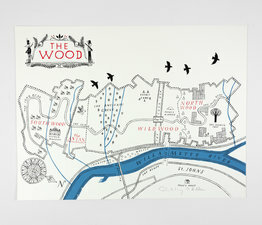 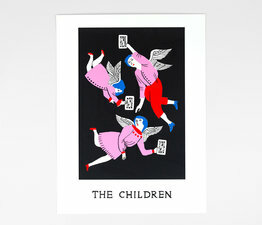 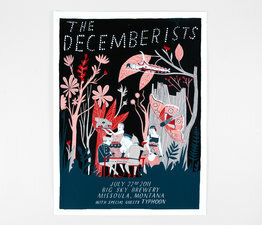 and also the illustrator-in-residence for The Decemberists.